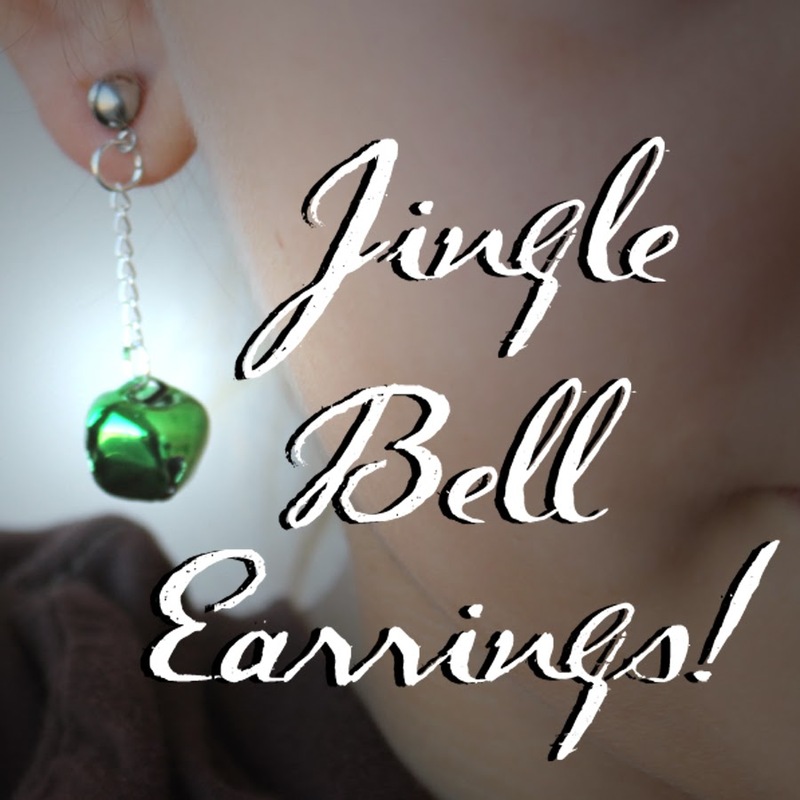 Jingle Bell earrings are cute, festive and easy to make! My ten year old did these ones. Hook a jump ring on the bell. Cut the chain...then connect the earring stud and the chain with another jump ring. We did one red and one green for variety.